The turbulence in world markets follows from changes in expectations based on variations in trust between many stakeholders. In a time of global crisis and turbulence, without equivalent since the great 1929 depression, it is important to revisit and analyse the role of trust in the world economic system. Trust is central to economic exchange and plays an important facilitation role in the global economy, enhancing inter-firm interaction and also exchanges between firms and consumers. Globalisation of markets relies on trust as a key ingredient to mediate exchange. Trust is also as an essential element of the network of firms and institutions that are involved in organising exchange. 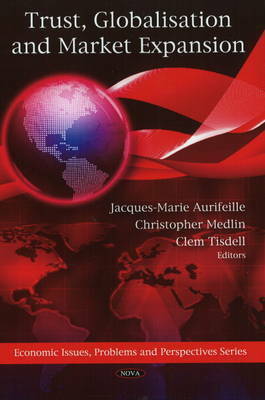 This book provides a collection of conceptual and empirical research papers which extend the understanding of the role of trust in a globalising world. The empirical studies present a range of current and different analytical methods to provide new insights into the processes of developing and managing trust between firms and consumers. The studies are grouped into sociological/network outcomes of trust and the psychological results of trust.